The recent decision by the Supreme Court that the existing Truth and Reconciliation Bill did not meet international standards for human rights and justice has sent shock waves through the establishment. The two former warring sides are now part of the state, and they are on the same side when it comes to evading being answerable to wartime crimes. Predictably, the UCPN(M) and the CPN-M are the least happy with the verdict of the apex court. In fact, the latest collapse of the negotiations over the constitution and the announcement of a series ofstrikes next month by the Maoist-led opposition alliance is an attempt to show this displeasure. They argue that wartime excesses should be under the jurisdiction of a future TRC, and asked for a repeal of the verdict. They and the other parties want the TRC to just be a dispenser of amnesties and pardons. When the members of the newly formed TRC went to meet the UCPN(M) Chairman Pushpa Kamal Dahal, he directly rejected any move to resolve conflict-era cases through the TRC for which he only wants a limited mandate. According to the Supreme Court verdict, the TRC cannot investigate already pending cases in the courts and it cannot ask the government to withdraw cases and recommend for amnesty as well. “We were confused initially about the parallel jurisdiction of the court and TRC but now it is clear that the already pending cases can only be solved by a court, not the Commission,” TRC Chair Surya Kiran Gurung told me last week. The Supreme Court has struck down provisions in the TRC Act that gave the Commission the right to recommend amnesty to cases of serious human rights violations, and declared that no amnesty can be given without the consent of victims. The TRC has no right to see and investigate the cases which are already pending in the court system. Conflict era cases will be investigated by the TRC, but if it decides that the case must be filed in the courts then it will recommend this directly to the Attorney General and not through the Ministry of Law as cited in the Act. The Supreme Court has thus taken out the involvement of the government. Victims consent is required for both reconciliation and amnesty. One of the main dissatisfaction among victims was the provision in the Act which gave the TRC the authority to grant amnesty. The SC verdicthas ruled out the TRC’s role in general amnesty. Even if the Maoists urge the ruling parties to review the court’s verdict it is not easy for them to file a review petition. Previous SC verdicts have also ruled out political interference in the transitional justice mechanism. There are approximately 1,000 criminal cases from the conflict period pending in the court system and the District Police Office. Advocate Raman Kumar Shrestha says the verdict will impact on the constitution drafting process since it will open all cases which are currently closed due to the absence of a TRC. 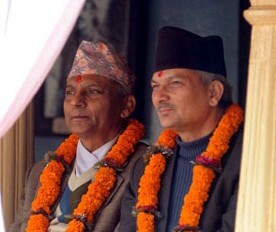 As PM, Baburam Bhattarai made history in 2012 by withdrawing nearly 200 cases involving 1,700 people, according to the Ministry of Law. Now, all these cases can be re-opened, and that is why the Maoists are against the verdict. Another fallout of the SC verdict is that it has brought the two factions of the Maoists closer together, with talks of reunification opening despite their serious differences. This is so that they can pool their combined strength to oppose the Supreme Court verdict. This opens up the question about what the real reasons were behind the split in the Maoists if they have a common stance on war crimes. Maoists of all factions and some sections of the ruling NC-UML combine would like to see all conflict-era cases to be resolved through a political understanding and not through the judiciary. It is rare for the Supreme Court to review a verdict of the special bench, even when the government agrees to file a review petition. This means the Maoists will try to put pressure on the government by obstructing talks on the constitution and through street protests to try to overturn the verdict.